Ancient Greece was a civilization belonging to a period of Greek history that lasted from the Archaic period of the 8th to 6th centuries BC to the end of antiquity (ca. AD 600). See the fact file below for more information and facts about Ancient Greece. The earliest Greek civilizations thrived nearly 4,000 years ago. The term “Ancient Greece” refers to the period of history that lasted from 750 BC (the archaic period) to 146 BC (the Roman conquest). Ancient Greece is the culture that provided the foundation for Western Civilization. The Greeks were the first to have a democratic government. The ancient Greeks did not have one king or queen. They lived in city-states. Each city-state was a separate political unit. Each city-state had its own laws and government. There were over 100 city-states in Ancient Greece, and they could not get along with each other. The two most powerful city states were Athens and Sparta. They were very different. In Athens, the focus was on education and the arts. Sparta’s focus was on the military. On top of the tallest hill in each city-state the Greeks built a collection buildings called an acropolis. The acropolis was used for three things: religious festivals, banks and a fortress. The first Olympic games were held in Ancient Greece almost 3000 years ago (776 BC) at the Greek city of Olympia. The Ancient Greeks played an important part in the development of the alphabet. The first two letters of the Greek alphabet – alpha and beta – have given us the word ‘alphabet’. There are 24 letters in the modern Greek Alphabet. They have been used since in the 8th to 9th century BC. The letters are: Alpha, Beta, Gamma, Delta, Epsilon, Zeta, Eta, Theta, Iota, Kappa, Lambda, Mu, Nu Xi, Omicron, Pi, Rho, Sigma, Tau, Upsilon, Phi, Chi, Psi, Omega. The Greeks were the first to develop an alphabet with vowels. Slaves were very important to ancient Greek daily life. Slaves cleaned and cooked. They also worked in the fields, shops, mines, factories and on ships. Even the police force in ancient Athens was made up of slaves. In Greece the men ran the government. They spent a lot of their time out of the house while involved in politics. Men also spent time in the fields overseeing the crops. They sailed, hunted, and traded. All of these activities took the men away from home. Men enjoyed wrestling, horseback riding, and the Olympic Games. Men had parties in which the women were not allowed to attend. In most city-states, women had little freedom. Wealthy women hardly ever left the house. They sent slaves to the market. The women were allowed to attend weddings, funerals, and some religious festivals. Their job was to run the house and bear children. Greek women supervised slaves who did all the cooking, cleaning, and tending of the crops. Male slaves guarded the women when the men were away. Girls did not go to school. They learned only the basics of reading and math at home. Girls were taught how to run a house. Women lived in a special section of the house called the gynaeceum. The ancient Greeks were polytheastic, which means they had many gods and goddesses. They were known as the Olympians Greek Myths are all that’s left of the ancient Greek religion. The Greek Myths are our window into Ancient Greece. 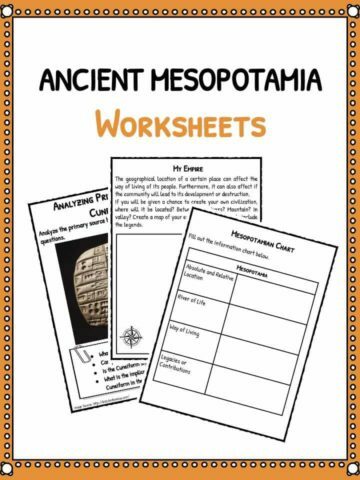 This bundle includes 10 ready-to-use Ancient Greece worksheets that are perfect for students to learn about Ancient Greece which was a civilization belonging to a period of Greek history that lasted from the Archaic period of the 8th to 6th centuries BC to the end of antiquity. Students must shade their home country GREEN and modern day Greece BLUE. Afterwards, answer the given questions. Puzzle task where student fill out the crossword puzzle by identifying the pictures in each number. Writing task where students are challenged to read the sentences in each item & choose the letter which best describes the statements. 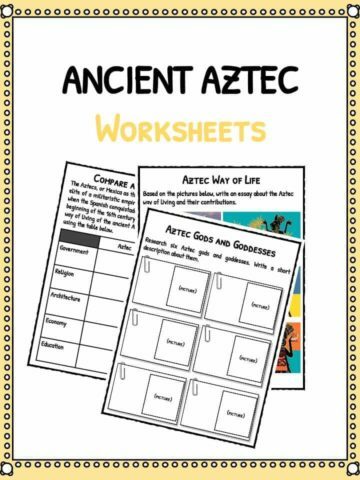 Using the given three words students must create sentences associated with Ancient Greece. 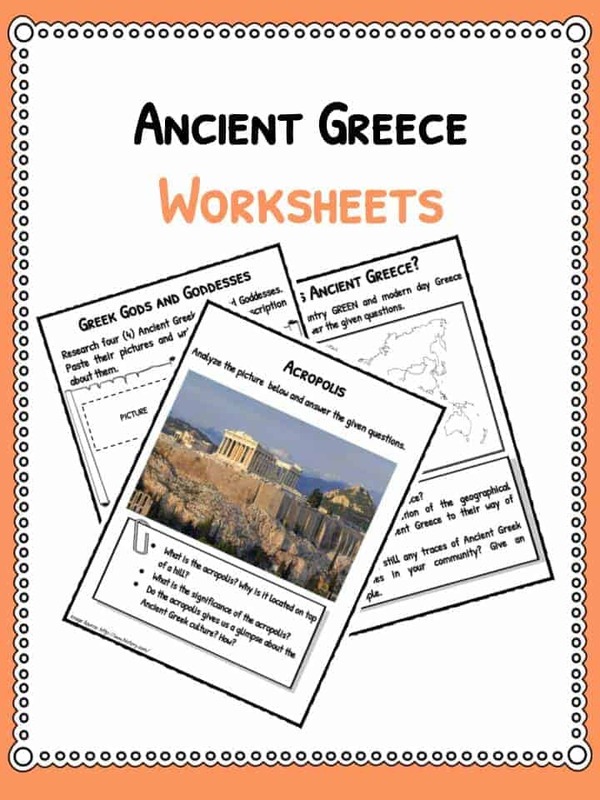 In this worksheet, the students are challenged analyse the picture provided of Acropolis and answer the given questions. Using a Venn Diagram, cite the similarities and differences of the city-states Athens and Sparta. Creative writing task. 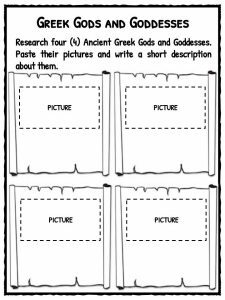 Students must identify an Ancient Greek influence in their home town and write about this in essay format. Creative writing task. 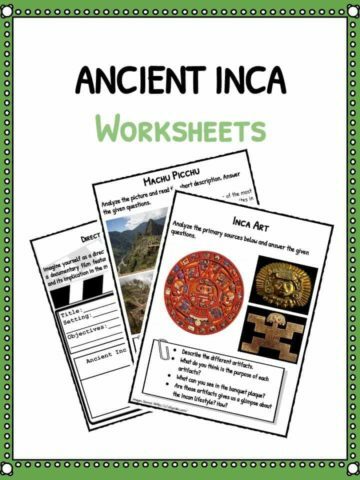 Students must create a travel brochure advertising vacations to Ancient Greece.